As we’re a couple of months out from the race now, I wanted to drop you all out a quick email with a few bits of info on the race, and to bring you all up to speed with things we have coming up. Those of you that have read my emails in the past will know I can waffle on for England, so grab yourself a strong cup of coffee and a comfy chair before you get into this one as I’ve got quite a few bits to cover. I had a swim in the lake last night, and it’s currently at a pretty perfect 19deg. Although the lake is quite shallow, so changes temperature fairly quickly, I don’t see that we’ve been forecasted 2 months of 30deg summer sun yet, so it shouldn’t change much between now and August. We work in accordance to the BTF rules, so 19 Deg will put us firmly in the Wetsuit Optional range of 14-24deg. Please can I ask that you all take the time to read this, as this contains everything you need to know about the race and more. This is your info pack, so if you think it needs anything else to go into it, please just ask and we’ll update it with any additions. But please do read it ! The day is a great chance for you guys to see a guided lap of our courses, where the start and finish are and to meet up with other competitors and our team. We love these days, as it’s a great chance for me and the 113 team to meet competitors in a much more relaxed environment than race weekend is. We will provide the guys to show you around the Bike and run course completely free, but if you wanted to Swim a lap of the course, or just have a general swim around the lakes marked out 400/750/1500m courses, then the lake guys will ask you for a £5 day membership. The emphasis on these days is leisurely, and this is more of a chance to see the course than get a hard day’s training in. For the June race Familiarisation day we did a few weeks back, we averaged around 15mph on the bike and ran the lap at around 10min miles with plenty go regrouping stops. If you want a guided Swim, our friendly local open water coach – Jason tait – Will take the group for a lap of the swim course with toes in the water for 8am, and will be on hand before and afterwards to answer any questions you might have on open water swimming. We will meet up at the lakeside cafe to head out on the bike at 10am, and then we’ll have a 15-20minute break between the bike and run to get changed etc, and head out on the run at around 12:30-45ish. In order to get a gauge of numbers, we ask you to book on, and this also allows us to email you all separately nearer the time with final instructions etc. 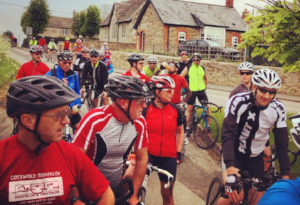 Here’s a pic from the Cotswold113 Familiarisation day earlier this year during a regrouping stop on the bike. * The Saturday briefings are not compulsory, but is a good chance to hear how the race works from start to finish in details. They take around an hour, and there’s loads of chances to ask questions too and we’ll try to make them quite light hearted so you don’t all get bored or bombarded with too much info at once. In around 3-4 weeks, once the race entries are fixed and Frozen and I have the start list in an excel format, I will send an email out to you all asking if you want to choose a specific wave and/or race number. Please don’t try and request this before this email comes out later this month, as it’s based on first come first served, and is not fair on everyone if I grant peoples requests now. You might also want to have a group of numbers so that you and your club or mates can be racked together in transition and go off in the same wave, so it’s worth starting to think about now and checking with your club which wave you might want. We have around 150 paid general marshal positions at our races, and we could always do with more people to help out and join our team. If you have friends, family, enemies, club mates or a fan club that fancy getting involved and being part of our team on the day, please get in touch. They don’t need any experience at all, and all we ask is that they know their left from right, and enthusiastic and are over 16. We have a load of jobs from Swim exit, bike course, run course, right through to Saturday help and Sunday tear down. 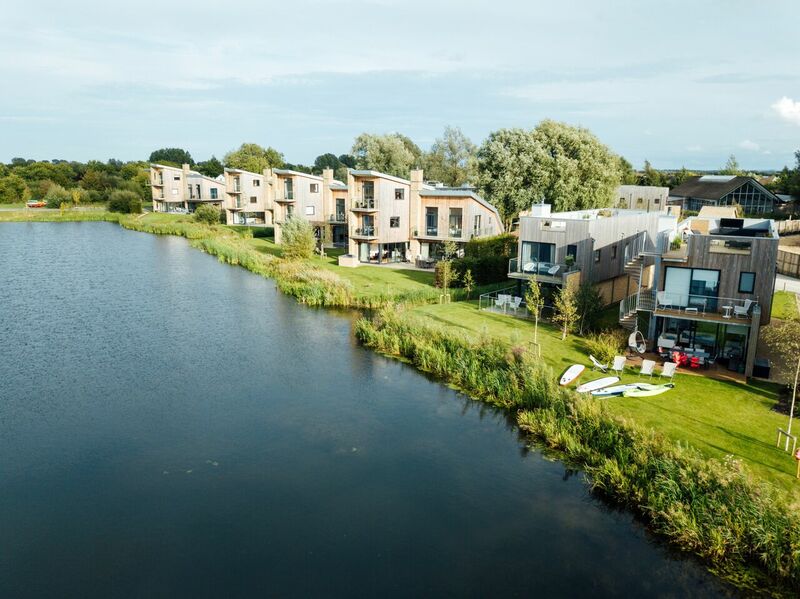 Located only a short distance from the start of the race, Lower Mill Estate, a stunning space that celebrates unspoilt nature, offers superbly appointed self-catering accommodation with access to its exclusive award winning spa. Book a stay using the voucher code 113AUG and receive a complimentary Luxury hamper full of locally sourced goodies.